BBC Radio Scotland Young Traditional Musician 2018 – Open for entries. The BBC Scotland Young Traditional Musician of the Year opened for entries on May 25th. The annual music competition, established in 2001, aims to encourage and support young musicians who are pursuing a career in traditional music. The award is open to individual musicians aged between 16 – 27 years who currently stay in Scotland. The closing date is Friday 7th July 2017. A short written paragraph about their interest in traditional music. Entries are judged on Technical ability (intonation, rhythm, timing, ornamentation) and Performance skills (connection with the audience, choice of repertoire, balance of programme, pace, appropriate length of performance). A panel of judges will review all entries and select a shortlist of 12 to take part in the semi- finals which will take place over the weekend 7-8th October. A panel of judges will select 6 finalists who will then be invited to perform at the final which will be held in Glasgow on 25th January 2018 as part of Celtic Connections Festival. For more information and to apply please visit the event’s website. We’re delighted to be sponsoring the Scottish Jazz Best Album Award. 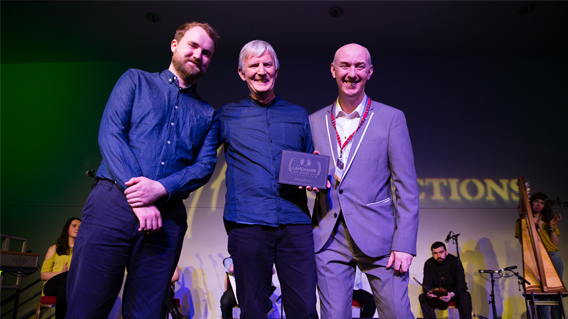 Glasgow International Jazz Festival in association with Hands Up for Trad will be hosting the 5th Scottish Jazz Awards during the closing evening of the 31st Festival on Sunday 25th June. Following an absence of 4 years the Awards are being revived with an aim to celebrate Scotland’s vibrant jazz scene and support acts and talent across the country. 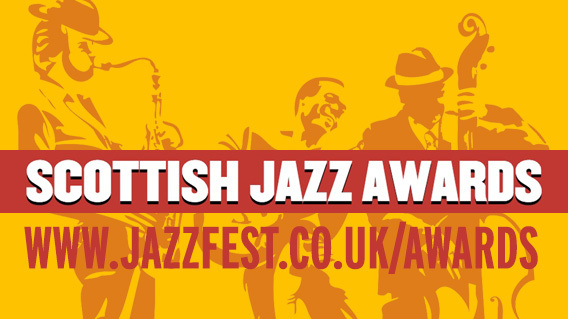 A nominating panel comprised of press, media, and promoters from across the Scottish Jazz music scene were chosen to select the shortlist for each of the 5 awards. You can now decide the winner by voting for your favourite in each of the 5 categories below. The voting period runs until 5pm on Friday 2nd June. The winners will be announced at the Awards ceremony in City of Music Studio at Glasgow Royal Concert Hall. We’re all very chuffed here at Birnam having just become the latest recipients of a Hands Up For Trad “Landmark Award” in recognition of us having navigated our way through the ever-changing channels of the music business for over 30 years. We’ve been on the go since 1986, initially as “Birnam Tapes”, Scotland’s first real-time cassette duplication facility. “Birnam Tapes” offered Scottish-based artists the option of small-scale music production at a time when the possibility of releasing independent self-financed albums was just beginning to nudge into the outer edges of a working musician’s budget. The deeply-ingrained and seldom questioned edict that you had to be “on a label” to release an album was still prevalent, but musicians were becoming more confident about doing things for themselves rather than handing over control of their music (and, often, their careers and finances) to others. The word got around pretty fast and we were soon churning out batches of cassette albums for a wide range of artists from all over the UK. We began to receive increasingly regular requests to supply albums on CD. It was clear that CD would soon be the new standard and we needed to respond, so we struck deals with a couple of major European pressing plants. In a highly sleekit move, the name of the business “Birnam Cassette Duplication” (once the transition was complete) was seamlessly abbreviated to “Birnam CD”. As our list of clients grew, we were repeatedly asked if we could help with other aspects and tasks that need to be taken care of once an album is completed so we are now “BIRNAM – CD / PR / DESIGN / ONLINE”. We don’t just offer CD, DVD and vinyl pressing and design for packaging, we also offer a full graphic design service for tour posters, flyers, social media graphics and other band merchandise, downloads & streaming, online CD sales (worldwide via our own shop and Amazon), physical distribution and – most significantly in recent years – music promotion. Of all the additional services independent musicians need, PR may well be the most vital. We introduced our range of media promotion packages about 5 years ago, to help artists get their music heard more widely, and it has organically grown to become a hugely significant part of what we now do. It’s extremely satisfying to see a top-notch independently-released album we have promoted be named “album of the week” on a national radio show or gain a 5-star press review. In response to very positive feedback and encouragement from the artists we have worked with, we are now expanding the range and scope of our PR services to reach media hotspots and audiences internationally.